People from the era tell their stories. My mother is Scottish and my father Sri Lankan. I was born in Clifton in Bristol at St. Brenda’s Hospital, on March 26th 1975. I grew up in Kingsdown. I had had two homes from the age of one and a half. In 1986 my mum moved to Hotwells so I could get a bus to my new secondary school in Pill. At the same time dad moved to Bishopston. He was into Country and Western and Perry Como. I had a record player in both of my homes. In the late 80’s and early 90’s, when I had a few quid to spend, I used to love going to Park St. to buy 7” and 12''s at Tony's record shop. Plus lots of different groups of young people hung out on College Green, at cafes on Park Street and at Whiteladies Road arcade called Spellbound. I started going to house parties, early raves and sneaking into the odd club from the age of 15. Hip Hop music came via the boys from my primary school, they all went to Cotham Grammar and they had Technics decks. I remember the Porter brother's and their crew playing and I have a tape still in a box of the DJ mix LL Cool J - Jack The Ripper. I met a girl in school who was new from Switzerland, we became friends and we used to practice mixing at her house, she could scratch well, later we DJ’d in clubs playing hip hop, house, trip-hop and soul. I was a big fan of music magazines for the images and Top of The Pop's for the songs. We always had a record player at home. At my mum's house we had a piano, which we all played, plus my mum's boyfriend had a recording studio in the spare room. I was allowed to play on his synths and with real electric guitars. We lived opposite the infamous punk squats on St. Michaels Park. Later on in 1986, my dad bought me an Alto saxophone. I had two teachers both in Bishopston. The first one taught me Charlie Parker and the blues, the second introduced me to reggae, funk and soul. Both were great teachers and people. Plus I have an older brother who used to blare out Prince and the Kinks. 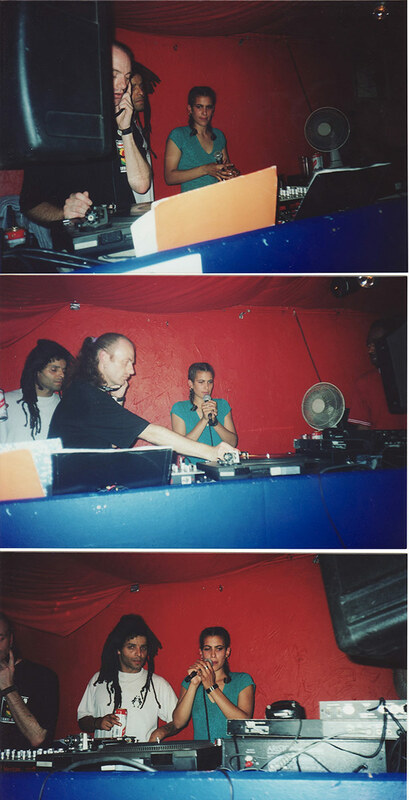 He introduced me to the skills of rave music, and disco when he lived in Brighton (Sussex University and campus radio). Also Tonka parties on the beach, The Zap, Concord. In the late 80's until early 90’s I would head down there during the school holidays by bus, usually coming back with vinyl. Many years were spent learning the piano, saxophone and then voice lessons at St. Brendan’s Sixth form College. But I never took grades, instead I became confident at improvisation. I’ve been DJing since I was 15 (1990-2015). I worked with Smith & Mighty 1998 - 2006 as a vocalist and songwriter. Moodubi (Elementa, Joo Greenside and DJ Alikat) from 1997 to present and we still make a few things here and there as individual producers now. I was influenced by family, music on the TV and radio, mostly pirate stations. I met many DJ’s and musicians along the way at parties. I have been in love with music all my life. I submerge myself in the groove, sometimes on a loop to learn the lyrics or a riff, replay a record over and over, until I get distracted. I can say James Brown played a big part. In 1986 together with a friend who came to Bristol from Frome, we used to go Rock and Roll dancing next to the Orthodox Church by Brown's Restaurant, near Queen’s Road. Dancing was also a big thing in my life. Michael Jackson’s ‘Thriller’ album was played to death on another friend’s Sony mini boom-box with speakers while we went about on our roller skates around Kingsdown. The older people who I grew up with in my mid-teens introduced me to rock steady, reggae and 80’s electro and soul. I love the electronic production, vocalists and the use of sounds in 80’s soul music especially. I made music at home, with friends, at the colleges where I studied music technology and in different studios in Bristol. My music teachers left a lasting impression on me. They allowed me to be free and be myself and they accepted me for who I was. I will never forget that. I am a perfectionist, painfully shy in public with my voice and I learnt to mask it well. With their attitude regarding performing, it enabled me to feel more confident when expressing myself verbally. Music gave me a voice. I knew the people who genuinely wanted to help me creatively and not take advantage of me for being a young ‘pretty’ female and rather naïve as to what sounded good. I recognised bull shitters and trouble makers and tried to avoid them. I was a year below Jody Wisternoff at school in Pill, and Die and I knew each other from the Dean Lane Skate Park. My friend and I used to check out the talent in the park. We’d laugh a lot, rap about hot-wiring cars and go to the raves all over the place. Die was always at the raves and warehouse parties too, along with most of Bristol’s music scene. I had Tru Funk's ‘4AM’ on a tape and 12", only the record cover exits in my vinyl collection now. 1993 and 1994 I volunteered to teach studio skills at the Basement Studio at Sefton Park Youth Club on a Friday night and met some great people there. I DJ’d on Respect Radio and a few other pirate stations. Between 1995 and 1997 I worked for Galaxy Radio as a radio researcher while at W-S-M College studying Music Technology during the day. My DJ'ing and singing career began to take off. I have DJ’d at the Club Loco, The Tropic, The Blue Mountain and The Lakota. 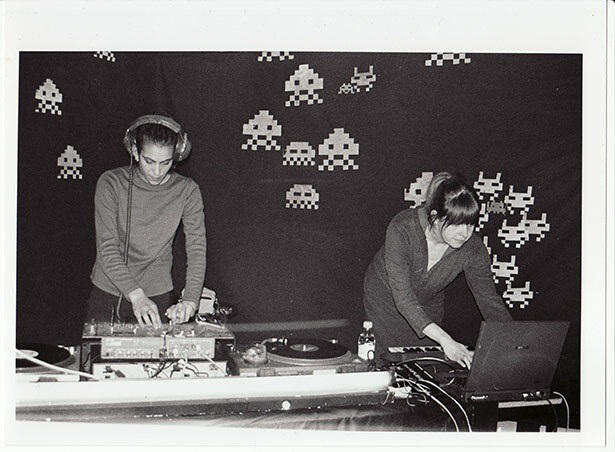 Sang live with Smith & Mighty and I had a residency with Decibelle *Bristol’s first all-female music agency. I’ve played The Thekla, Tube, Easton Community Centre, The 19 Club and many raves. There was this one outdoor party in the Algarve, Portugal. Nine DJ’s, mostly hippy techno vegan’s, drove in a Transit van with a 1K rig. It took 68 hours to get there. This is when I formed my great friendship with Elementa from Moodubi. Wherever people were heading with the sound systems and the basslines, I would happily follow. One of the best moments was making my first record on K7 Records on the DJ Kicks series with Smith & Mighty. Having a pile of 12” copies in my hands and seeing the look on my mother's face!!! When she read the spelling error of my name in print she said “Who cares, it’s your voice that counts Alice”!!! I’ve DJ’d backstage at Glastonbury, at WOMAD festival and played live with Moodubi at The Ashton Court Festival on the Dance Stage. These markers in my history are some of the ones which I feel were important moments during those early years. The downside is the music business and the stigma attached to being or becoming 'successful'. I was young and my attitude got the better of me sometimes. Keeping my mouth shut was not my forte! When I came across egos that did not care about how other people felt, I clashed. The Ram in me spoke out and the consequences were, and I found out the hard way, that the circle suddenly became very small. There were not many female DJ’s back in the day and we were treated differently from the men, even by some women… Competition, don’t forget, being so few of us! It was also about who you knew and people questioning your ability or debating what you charged for a recording session. They thought they could get away with anything because you were a young ‘innocent’ female which is 100% plain stupid, rude and nonsensical. I ignored most of the comments, like a bully at school, but those people are still in my conscience. By focusing on my music for so long, I bypassed the idea of ‘settling down’ and maybe I could say that I never planned anything. I took the outlook ‘go with the flow’. The flow just kept on going and 20 years passed me by. Still a lot of good times were had and no regrets. Music is in my blood and no man or woman will ever strip that from me. Over the years I have, more than once, not been credited for songs or received a royalty share for a song that I had written and even songs released on foreign territory without it even being mentioned to me. It’s all about control sadly, greedy money minded people, and it suddenly becomes out of your creative and financial control. Those situations hit hard emotionally and have effected my professional outlook on the industry that I also love and want to feel positive about. Playing live is a privilege. I love playing live. I sang at a variety of live shows in Bristol with Moodubi, Smith & Mighty, played saxophone with the Giant Steps Jazz Project, and once in Club Yellow in Japan with MC Kelz, Tony Wrafter and Rob Smith. Each show was brilliant. I get nervous, stage fright and panic mode kicks in before I perform. I am not so confident when singing live, due to not playing enough times in public. I am fine in a studio. But I am also quite fussy and the perfectionist in me takes over. I studied sound engineering, so when I am on stage everything matters from the minute we're on. When I look to the audience, I feel blind. I just want it to sound perfectly balanced and the people in the audience to enjoy what we’re doing and feel the vibe. I still live in Bristol. I am studying a TEFL course (Teaching English as a Foreign Language). I have been working with SEN (Special Education Needs) departments in secondary schools, in the South West since 2005. I specialise in managing challenging behaviour, working predominantly with children in care and those who are deeply involved with the criminal justice system, young people from across the UK. I enjoy the challenge, support change and their ability to learn, in my own unique therapeutic kind of way. My music background and up-to-date knowledge helps as well, as most young people are into music in one way or another, especially with the internet and club culture. A mate from London, 4EYE, and I have been doing a night in Bristol called ‘SoulBoy’ since 2007. I’ve been working on The ‘Herald the DJ’ Archive project since 2008 in my spare time. It’s an archive of audio, mostly radio shows, from pirate stations in Bristol. I plan to share it with the world once the 100's of tapes have been transferred. It began when I used to teach DJ and music skills to young people in St Pauls. I became self- employed in 1998 but stopped teaching in 2010 when the Bristol Council and various other places started to design DJ workshops for young people. They stylised the whole concept whilst the internet and industry ‘glamorised’ the whole music ‘skill’ into something about money for the majors, advertising sponsorship, back to the sup star DJs and super egos. No one is really that musical anymore. Look now, everyone’s a DJ with their hands in the air!!! As for now, I still DJ, sing, write songs and I have my own studio to record in and a roof over my head. Fundamentally, nothing has changed me. I know where I’m from and now I am a grown woman with a young heart and a heap of experience to support what I do next. My tongue is now sitting on the back seat keeping quiet! It comes out once in a while, when it’s needed. My attitude towards my music is to always keep going and my path has nothing to do with anyone else. What I choose to do artistically is a personal choice not an expectation or a display of ‘Stardom’. I can proudly say I have been DJing for a quarter of a decade this year. I have been asked to write a song for a house music producer who lives in Bristol. So watch this space. I am planning my return, quietly.